This is a combination of works by Benjamin Edols and Kathy Elliot. 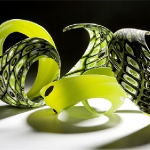 Between them they have over 40 years experience in creating glass art and it shows in their fantastic glass creations. They have a diverse range of high quality items distinguished by their beauty and creativity. Lisa Cahill has a unique style focusing on painted or etched glass wall panels where multiple panels are combined to create one piece of artwork. Commonly used as an architectural enhancement her contemporary compliments today’s minimalist interior design. Marcus Dillon produces one of the most diverse collections of glass art, using vibrant colours and unpredictable free-formed shapes to create eye catching glass art. The combination of various colours and patterns in one piece is uncommon, however Dillon has perfected this technique. 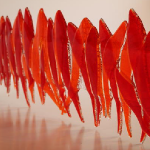 Holly Grace’s glass art has an overriding element of beauty and perfection. Her design range offers pieces with fluid lines incorporating a various colours. The exhibition range is heavily influenced by nature and presents a distinctive style. 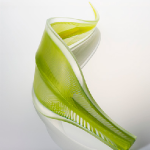 Robert Wynne produces a wide range of glass sculptures that are diverse in colour and style. Unique forms and shapes typify his work, which are united with stunning colours creating an assorted collection of art. 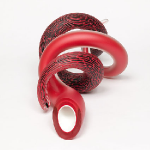 Elizabeth Maverick creates kiln-formed pieces typically wall mounted in domestic or commercial settings. Her passion is producing commission work for private and corporate clients. 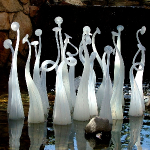 Many of her glass creations are now found in public places in Australia. 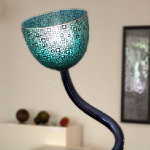 Kevin Gordon is a self-trained glass artist with a distinct style concentrating on engraved blown glass, developing a wide range of textures and colours. 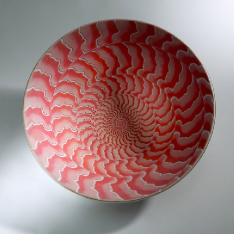 A majority of his work are bowls, vases and plates that have an individual style unlike other glass artists. Nick Mount is an Australian artist who produces sculptures, which are an example of perfectly formed and refined glass art. 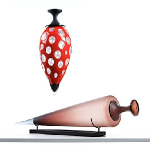 His recent works include high quality beautiful cylindrical shapes. Tali Dalton creates free-formed sculptures by utilising blowing, engraving and sandblasting techniques. Each piece is unique in appearance incorporating various shapes and colours. 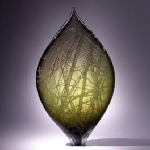 Lucas Salton artwork is a varied collection of glass art that has no boundaries. 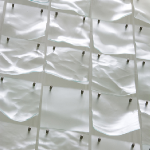 By implementing the use of other materials Lucas’s work has visual diversity and therefore appeals to a wider audience. This is an exceptional portfolio of work.